Rihanna ran a few errands around New York City on January 13 including visiting a spa. This was the first time we spotted the singer in those huge shield sunglasses with the “FENTY” logo on the sides, which peeked everyone’s interest. WWD reports that Rihanna is rumoured to have teamed up with LVMH to launch a luxury fashion house. These sunglasses are possibly just the first taste of what we’ll get from that clothing line. Of course, I’ll post updates about this as any info becomes available. The superstar also rocked this pinstripe wool blazer ($1,675) by Gareth Pugh from the Fall 2018 collection [Look 8]. 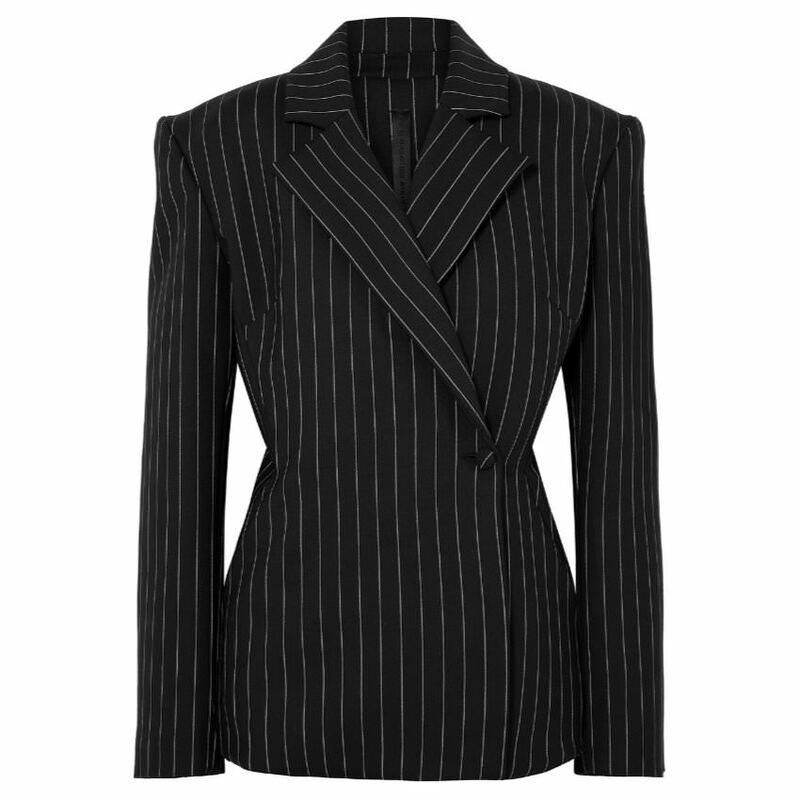 The black jacktet features thin white stripes, strong shoulders and a single button closure. These Balenciaga boots are a repeat for Rih. 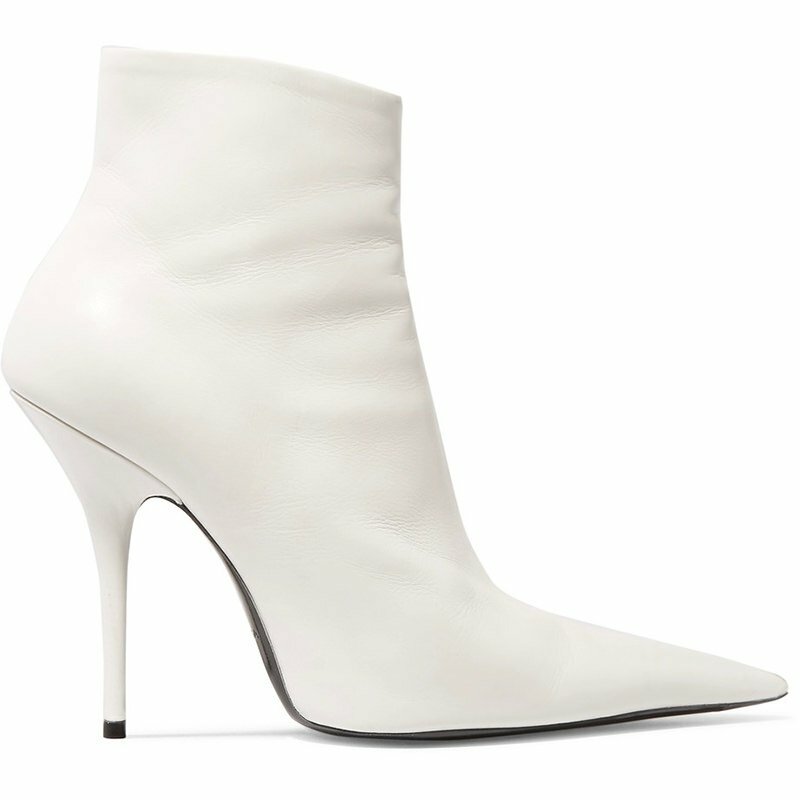 The white leather boots have a pointed toe, stiletto heel and a side zip. Unfortunately, they appear to be sold out online. 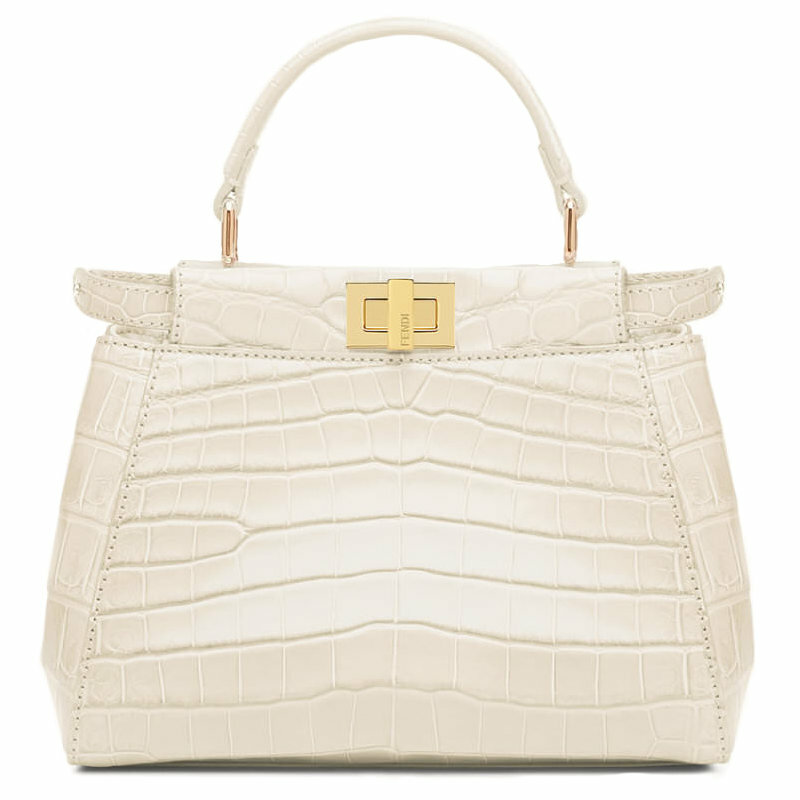 The singer toted a small white crocodile leather handbag by Fendi. It’s a Peekaboo Mini bag and it features gold hardware, two compartments and a detachable shoulder strap. Contact Fendi to request the price and check availability. Rihanna wore two necklaces from Jacquie Aiche‘s new collaboration with artist Mr. Brainwash. You’ll have to contact the brand at info@jacquieaiche.com for pricing. These necklaces are currently only sold in store. Two of the emerald necklaces are also Aiche’s creations. First is a custom gold necklace with four horizontal emeralds surrounded by pavé diamonds. Pictured above is a similar necklace with vertically-placed emeralds. The other is a crescent moon necklace ($7,750). Made of 14k gold, it features several emeralds and white diamonds in graduating sizes.